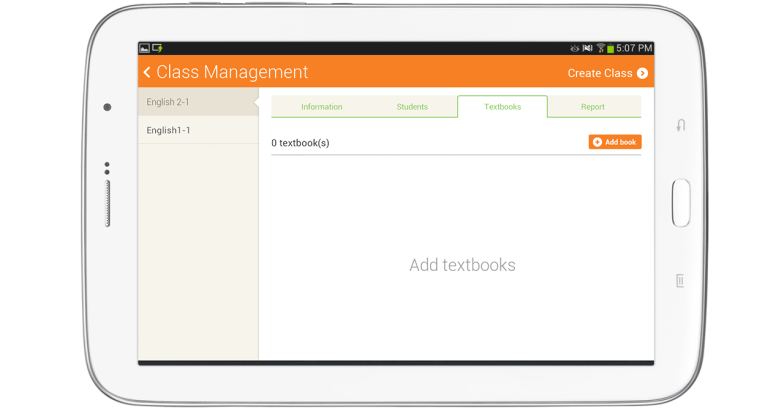 Select among textbooks registered on Loudclass Cloud and add to the class. The assigned textbooks must be downloaded to use on Loudclass Interactive. 1. Select “Add book” under “Class Management” > “Textbooks”. 3. The selected book is added to the class. 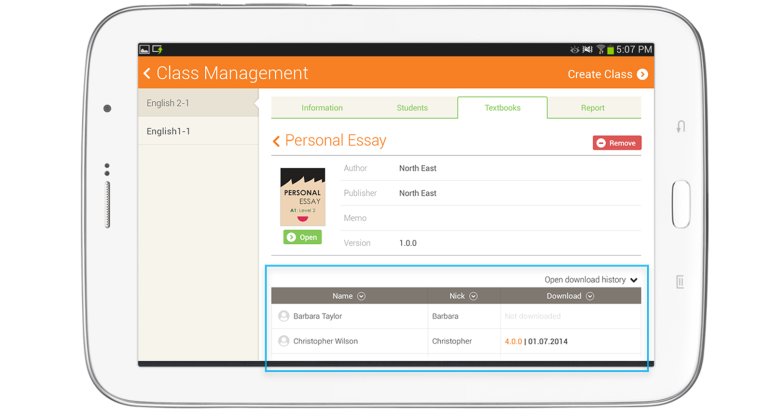 Check if students assigned to the class have downloaded the latest version of the textbook. The latest version is necessary to attend the class. Textbook(s) no longer used in the class can be deleted by selecting “Remove”. Deleted books can still be used under “Bookshelf”.